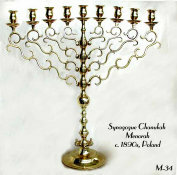 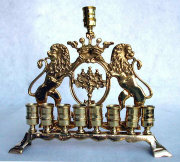 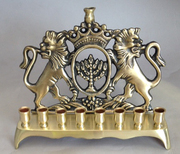 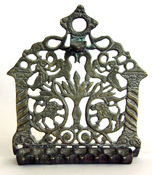 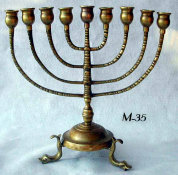 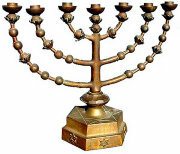 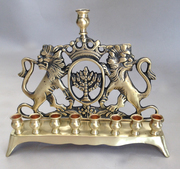 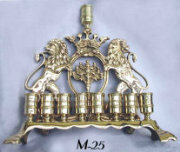 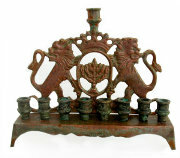 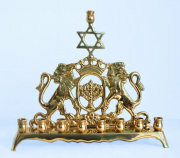 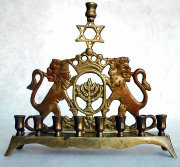 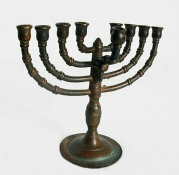 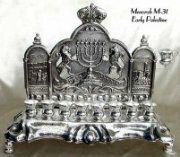 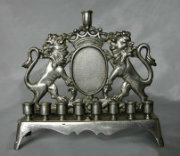 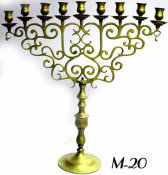 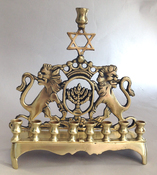 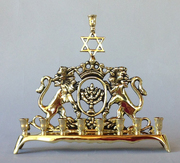 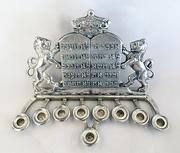 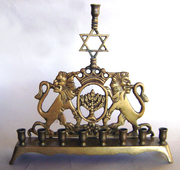 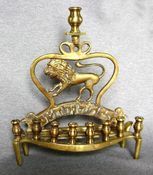 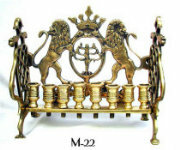 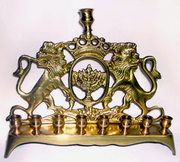 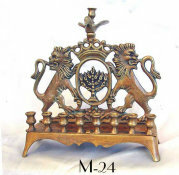 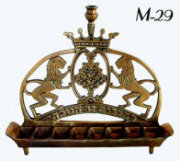 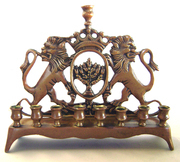 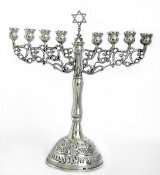 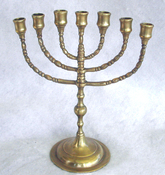 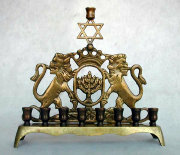 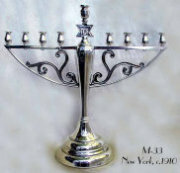 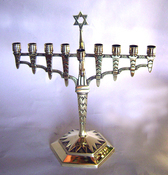 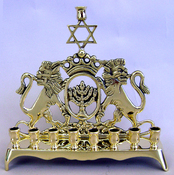 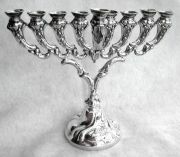 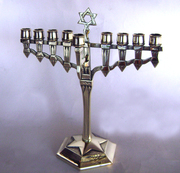 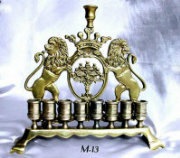 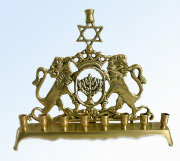 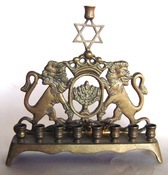 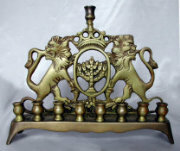 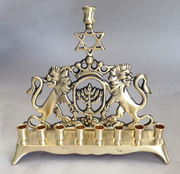 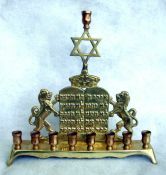 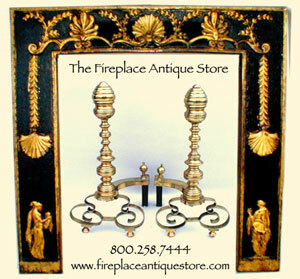 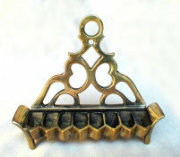 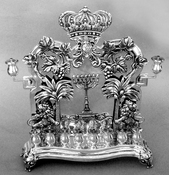 Rare Example of European Art Deco Chanukah Menorah, possibly Czech. 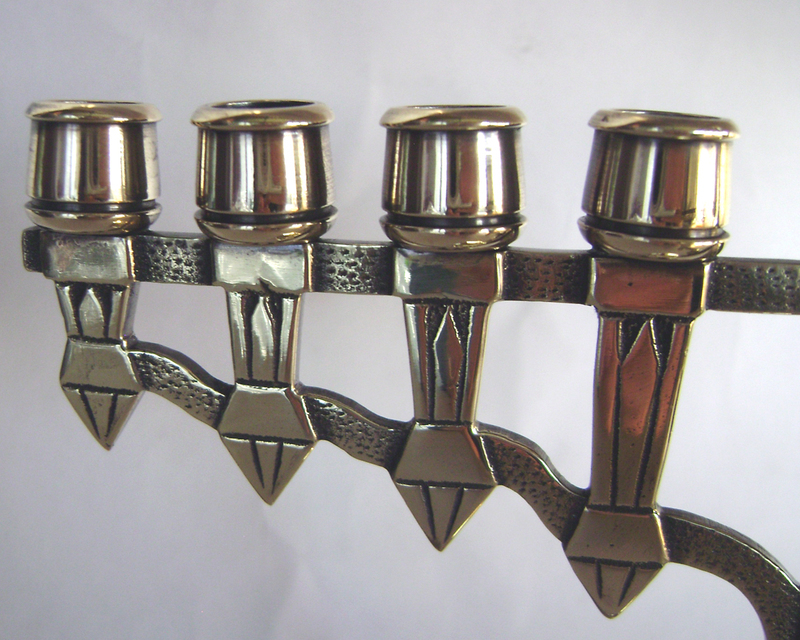 Bold geometric details, with stylized Art Deco torches as candle holders. Removable matching shammus. 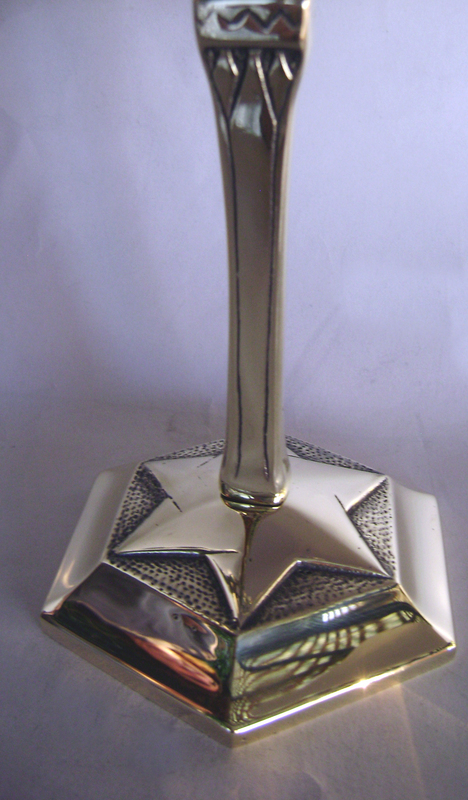 Detailed stem with striking Art Deco designs supports a woven Star of David and ends in hexagonal base with Star of David in relief against pebbled background. 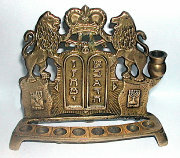 c.1920s. 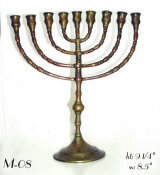 Dimensions: HT; 8.25" W: 7.34"